Well-proportioned three bedroom home on prime corner site. LV $165,000 (TC2 zoning). Having accepted a cash settlement, this property has been deemed repairable by the insurer. Fantastic lifestyle location close to Bottle Lake Forest and Travis Wetlands. 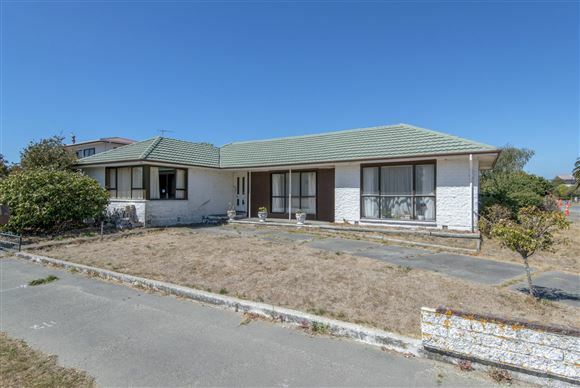 Walking distance to Burwood Hospital and Waitakiri Primary School. Owner well and truly ready to move on - this property having been a great little rental for a number of years.